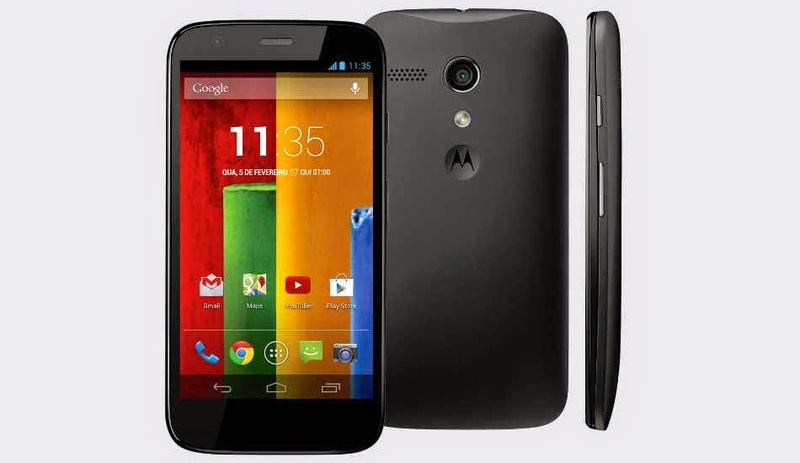 Cell Phone Seekers: MOTO G(2nd GEN): Worth Buying or Not??? This blog provides you reviews of the latest Smartphones so that you can seek about which smartphone is best suited to you according to your budget. Also, you can know about the applications can be best worked upon your phone and best replacement for your current applications, and their updates. MOTO G(2nd GEN): Worth Buying or Not??? Do MOTO G(2nd GEN) is the best mobile in its range??? Is it worth buying or not??? Moto G(Gen 2) is made by company named 'Motorola' which is originally owned by lenovo but the mobiles are the result of production in 'GOOGLE'. The Platform on which this mobile runs is Android v4.4.4(kitkat) which is the latest vesion of android till now. It will definitely receive timely updates from because it is a 'google' component and google ensures its updates in its products. Moto G(GEN2) have some of its changes in interface than previous one(Moto G) as it have larger icons which increases the viewability of readers. It has 1.2 GHz Qualcomm Snapdragon 400, Quad Core processor. If you are worrying about its performance, you should not. It has perfectly synchronized hardware and software and even with its less RAM(1GB), it doesnot show a single lag while running heavy applications ,e.g, FIFA 14 or running multiple applications at a time ,e.g, receiving a call while surfing on internet. So, performance wise, it makes all the way through. Moto G(GEN 2) has a 5" screen which is perfect size for a mobile phone. It has an outstanding built quality. Moto G(GEN 2) has a curvy back and has a light weight of just 149 g which feels extremely comfortable on hands. It has an HD screen of 720 x 1280 Pixels with lower pixel density of 293 PPI which is less than previous Moto G which had 326 PPI, but we didn't noticed any decreased pixel density. In fact, screen still looked crisp and sharp. The screen is surrounded by dual speakers which have an impressive sound quality. It has a corning gorilla glass which delivers scratch resistant qualities. It has 16GB internal memory which is expandable upto 32GB( external sd card slot was not available in its previous version) which serves a powerful advantage. It has 2070mAh battery which serves a descent performance. If you are a gamer and play games too much, then it will last only 6-7 hours!!!. If you are a normal user then the battery will last the whole day. As its battery is non-removable, therefore, carrying a additional battery would not work. Instead, you have to carry charger and use it if phone is out of charging. Moto G weakest point was its camera which is resolved in new one (Moto G (GEN2)). The new one has 8 MP primary camera and 2 MP secondary with a LED flash which serves the improved camera quality than previous one(5MP primary in previous). Its main camera feature includes panorama and HDR. Moto G(GEN 2) comes in a box containing handset, headset, charger, and user manual. Headsets offered by motorola are of low quality and clear sound is not received while listening to song. Additionally, the data cable is not provided inside the box which is of extreme use now a days. If you want to connect your mobile directly, you have to buy data cable. Moto G(Gen 2) is available exclusively on Flipkart at Rs 12,999. Motorola provides 1 year manufacture warranty for phone and 6 month warranty for box accessories. Its service centers are now available at various places or you can opt for online warranty. Motorola has certainly improved lot of its weakness, but still it has some more to improve. Therefore, if you want to buy a new smartphone at about Rs 13000, then moto g(gen 2) is good option as still it is the best mobile in its range. But, if you want to upgrade your old moto g, then ,certainly, it is not a good idea!!! Xiaomi Redmi 1: Best in its range?? ?